TopoFlight Mission Planner is a 3d flight planning software which allows the fast and interactive design of flight plans. 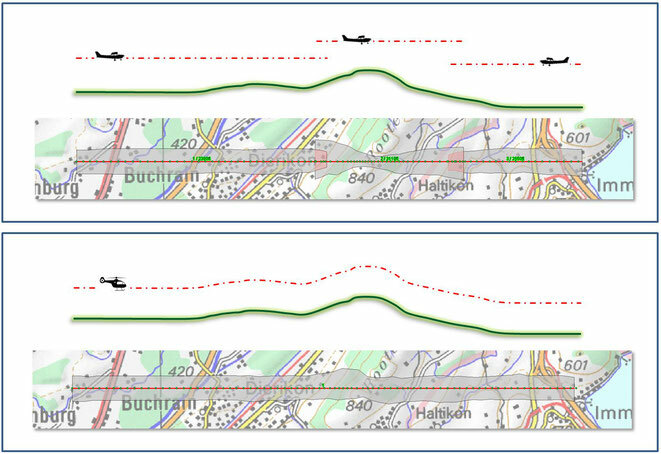 The inclusion of digital elevation models leads to best results and minimizes the amount of images and thereby the costs of any flight mission. Different export interfaces allow an easy transfer to almost any flight management system. 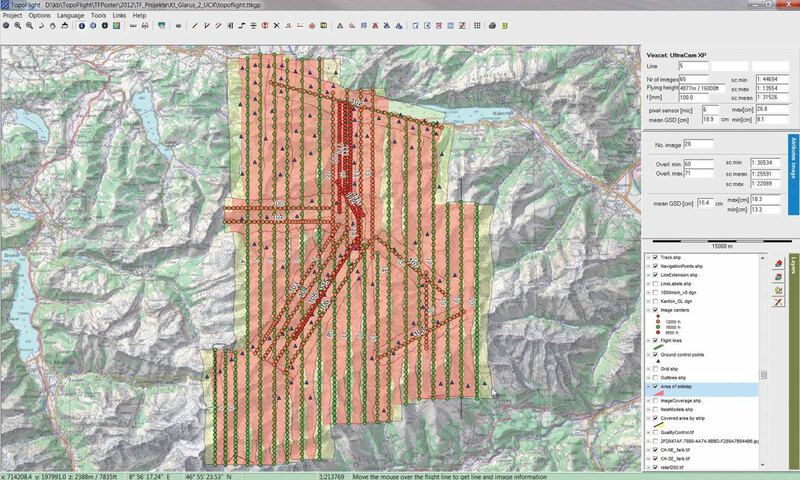 TopoFlight Mission Planner can be used to plan photogrammetry and LIDAR missions and supports frame, line and LIDAR sensors. 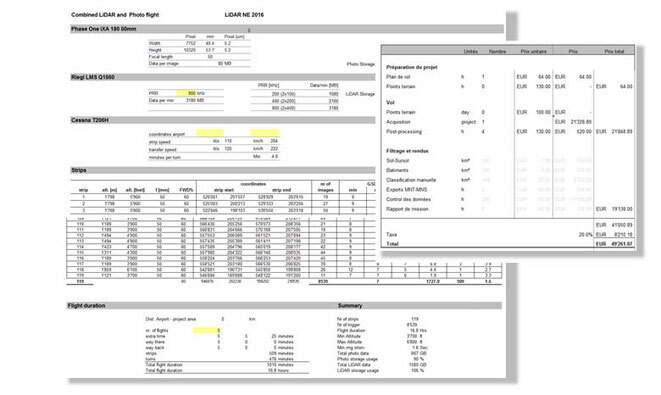 TopoFlight Mission Planner presents the results as maps and tables and can be used for calculating the project costs what simplifies the quotation generation explicitly. 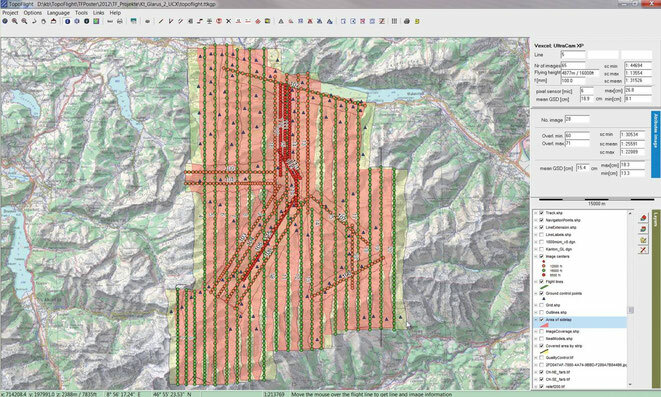 TopoFlight Mission Planner can be fully tested over a period of 10 days! Download the software and ask for a demo license. Many small to large projects worldwide are being carried out with the help of TopoFlight.